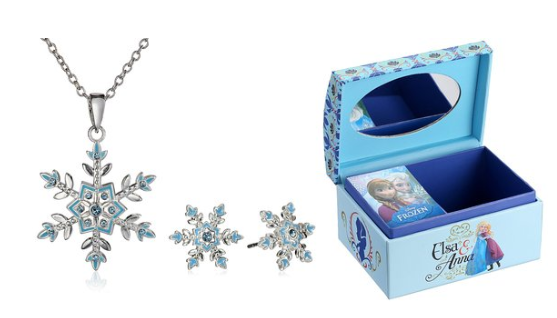 Disney Frozen Jewelry Box with Jewelry Set $24.49 + FREE Prime Shipping (Reg $49.99)! You are here: Home / Great Deals / Amazon Deals / Disney Frozen Jewelry Box with Jewelry Set $24.49 + FREE Prime Shipping (Reg $49.99)! Your little Frozen fan is sure to love this gorgeous Disney Frozen Jewelry Box with Jewelry Set! And you can snag it for only $24.49 (Reg $49.99) when you use coupon code 30JEWELRY at checkout! Plus, FREE Shipping is available with Amazon Prime or FREE with orders of $35 or more (sign up for a FREE 1 month trial here)!